Orta San Giulio is a tiny magic village just the pearl of Lake Orta. 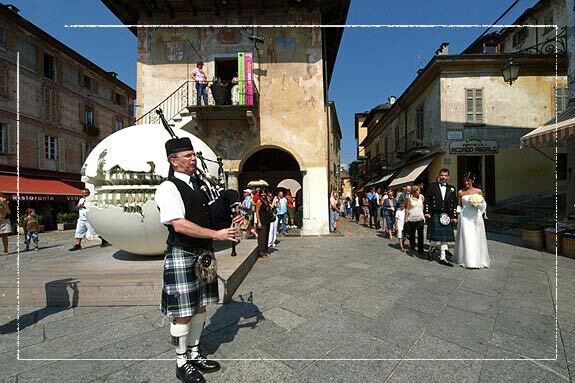 There are many corners and typical places that make this Piemonte village a touristy destination similar to no one in Europe, just perfect for a destination wedding for couples coming form lots of different countries. Starting from today we thought it could be interesting writing for you some articles that maybe could help to know better this wonderful medieval village that is almost unknown. Today I would like to tell you about Piazza Motta, Orta Main Square. Lots of people just love sitting here in a lovely bistro admiring the lake and St. Julius island, thanks of its elegant and charming appearance. 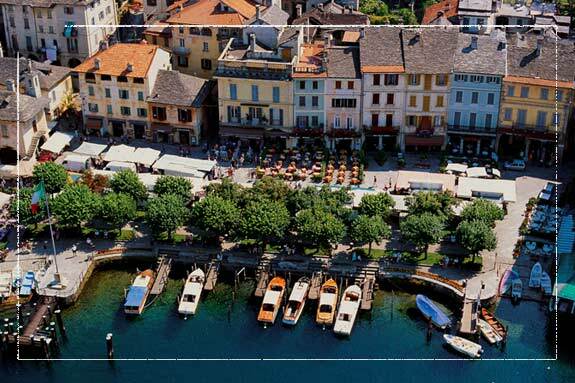 As in many other ancient Italian villages on the lakes, Piazza Motta has its three sides made up by ancient buildings where you will find bistro, cafes, hotels, restaurants or little boutiques. The forth side is just on the lake shores. You will enjoy the lake and St. Julius Island through a row of horse-chestnuts trees. 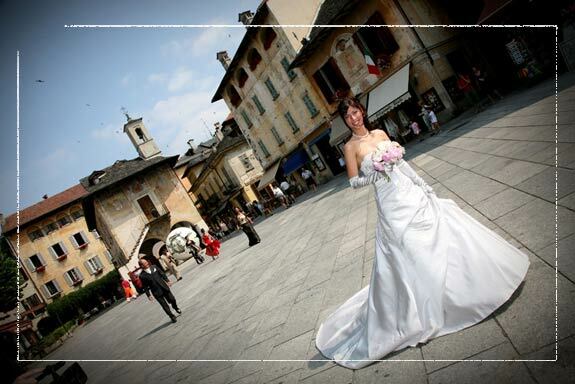 If you are thinking about getting married in Orta San Giulio, consider Piazza Motta a lovely spot for your wedding photographs. 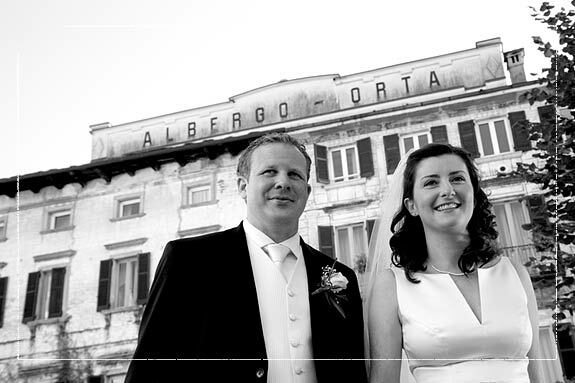 It is just few minutes walk from Villa Bossi, the town hall for civil ceremonies or Assunta Church for religious ones. 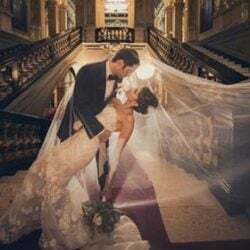 Photographers loves the setting too and most of them have pictures of couples on the square on their portfolios. From the boat pier bride and groom and maybe the bridal party, could take a motorboat and reach St. Julius Island. 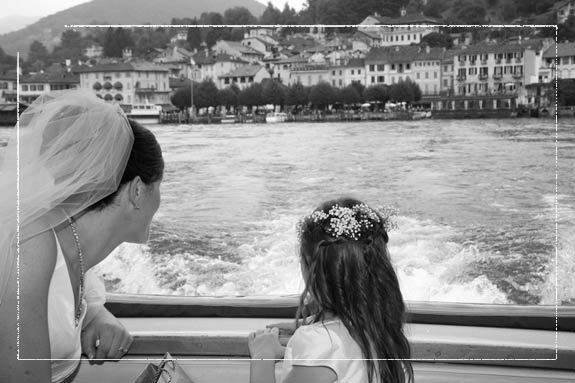 Thanks to its intimacy and quiet atmosphere it offers a perfect frame for other stunning pictures. Piazza Motta is the vital center of Orta San Giulio. Can you imagine? Every Wednesday you could see the local market since 1228! 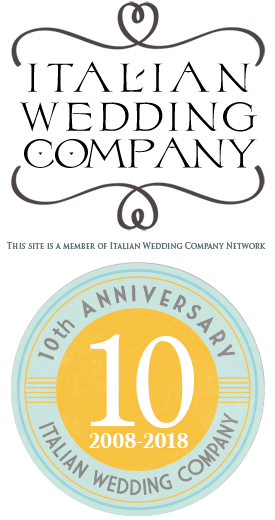 On North side of the square there is a building called Il Palazzotto the Community Place. It was built in 1582 with the same style of ancient Town Halls in other bigger Italian cities. It has a portico below and a wide room with windows at the first floor. In this room Community Council used to meet and discuss. It has a wonderful fresco depicting “Holy Mary with St. Francis”. The lovely little tower bel on the top was added later just as Count Bishops of Novara coat who ruled San Julius Riviera for more than a century. This building was the Community court house too. Every Wednesday, same day of the market, the governor used to open the court managing justice. Among many coats and frescoes there is one of the mysterious lady facing on a window on the rear side of the Palazzotto. Her smiling face gives a joyful idea to the building in spite of the utilization this building had. 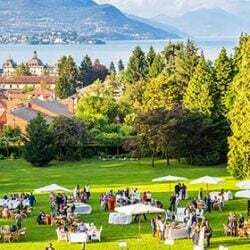 Italian Lakes Wedding have worked for many here and still works in Orta San Giulio. 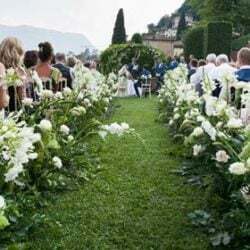 Hiring one of our wedding coordinators means relaxing and working with high level professionals that will follow you step by step in every single legal and planning aspect of your wedding on Lake Orta.